Summer is here and our game-speed is reduced to low. All of a sudden things volleyball and beer is more interesting comparing to indoor painting. But thank's to long and bright nights my Elysian project is still moving forward, slow but purposeful! So with a little patience I will have 1000p ready in about 5-10 years. I have painted the bases but this is just to make the mini look ready. 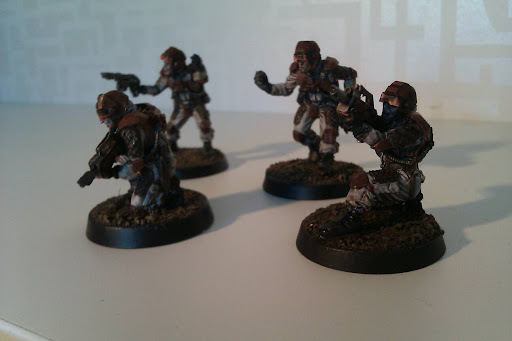 I'm thinking of making new bases with big rocks on them and paint them mars red. Have to try on one first. One thing is for sure, they are just wonderful to paint. 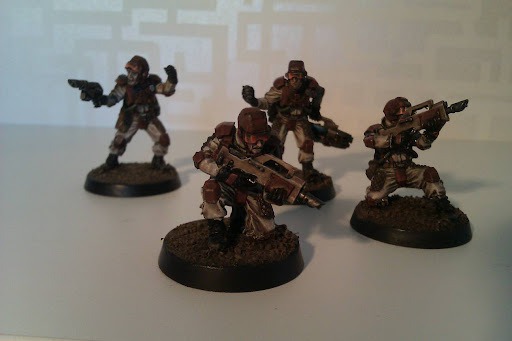 I belive that its much more interesting with different types of weapons at my Necromunda gangs. Hope I'm strong enough to start with my bases soon.